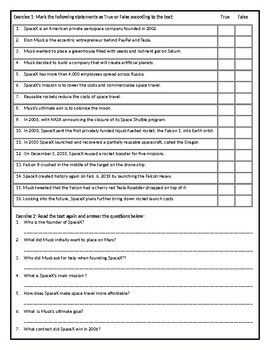 This Reading Comprehension worksheet is suitable for upper intermediate to proficient ESL learners. 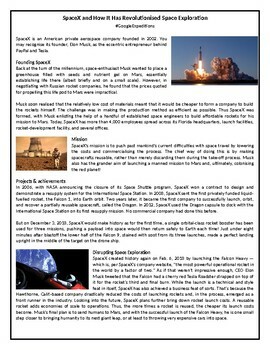 The text explores the foundation and work of private aerospace company SpaceX and its impact on space travel. 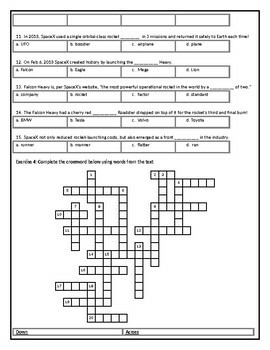 After carefully reading the text, students are required to complete some comprehension exercises including: questions, True or False, a multiple choice exercise, a fun crossword and a fill in the gaps exercise. The vocabulary used in the text is rather advanced and can also be used for IGCSE, TOEFL or IELTS vocabulary building purposes. The handout can be completed in class or assigned for homework. 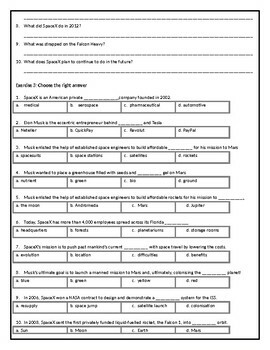 Ideally, this handout could be used along a #GoogleExpeditions SpaceX virtual reality trip! A full answer key is included.